Falcon Lakeside Manufacturing's Quality Assurance Lab provides you with detailed stastical and dimensional information. Our lab contains two Coordinate Measuring Machines (CMM) to qualify significant/critical characteristics; both CMM's are CNC-equipped and run with Geopak software. This combination allows for distribution of real-time inspection results throughout a production run. Our team utilizes current technology and instrumentation for ensuring that the close tolerances of today's manufacturing needs and our strict calibration schedule maintains the integrity of our equipment. 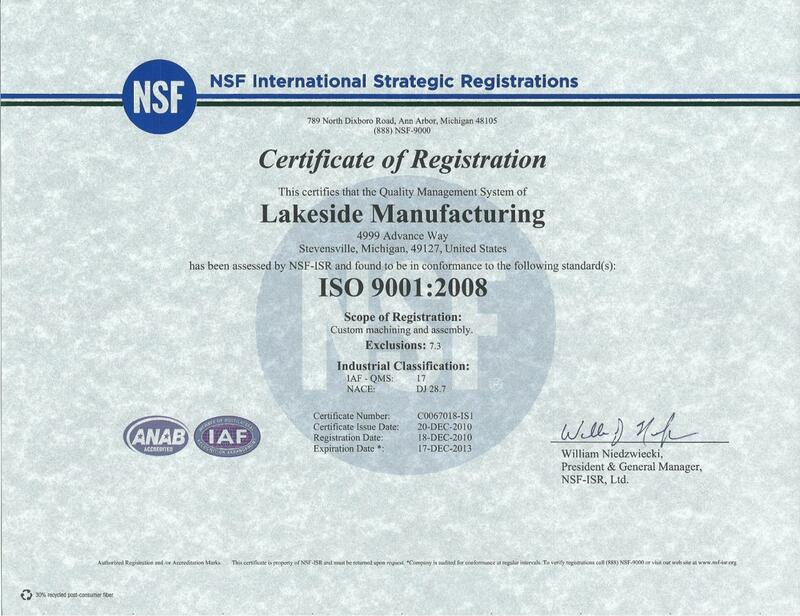 Falcon Lakeside Manufacturing is officially ISO 9001:2008 Certified.